Our previous blog post was dedicated to privacy issues connected with the Internet search giant Google. The topic of this one is not different from the previous. 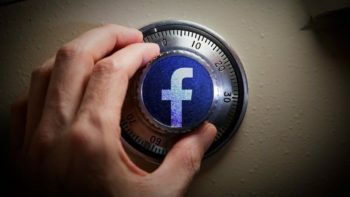 As we know a few months ago, Facebook decided to remove the option in privacy settings that allowed facebookers to eliminate themselves from search results. The option of “Who can look up your Timeline by name?” was removed last year for those who were not using it. Now it will be taken away from that small percentage of users that are still using it. The reminder of removal will be displayed for them on the website. This change is perhaps to adjust the Graph Search. With the new implementation – no one can prevent their timelines and profiles from showing up during searches by names. What are the possible reasons for Facebook to eliminate this feature? First of all it did not prevent people from going to someone’s timeline by choosing the friend’s name simply from News Feed story or from Timeline of mutual friends. But, from now on with the innovation of Graph Search – search process has been simplified and people can search easily instead of going on someone’s Timeline. However, it is important for facebook users to be in control of their private posts and pictures. Additional reason for implementing new changes is connected with “broken” results from time to time. For example: when someone is looking for the person he knows – search results sometimes would provide different results. The new settings eliminate swift searches. Facebook removed this last year for the ones that were not using it at all. As for the active users – the company provided a warning that the feature is about to be removed completely. The user must click on “Okay, I understand this” button. One of the most common ways to monitor what other people are finding about other people by choosing the audience they would like to share updates with. From now on there will be a notification on posts that are visible to all (shared publicly), so if facebooker decides to change the privacy settings of post – they will need to change the audience for every future shared thing.